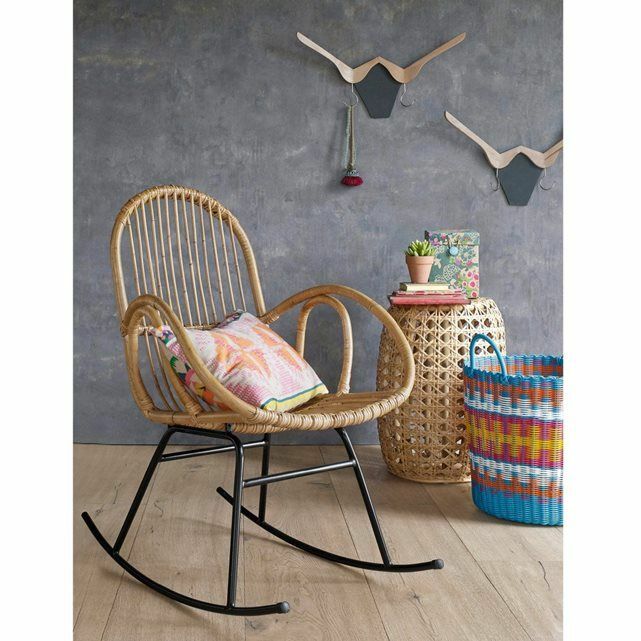 I’m still swooning after finding the outdoor/indoor Islay rocking chair from John Lewis from my post a couple of weeks on Indoor-Outdoor Furniture so today I thought we’d look a little more closely at the rather fabulous Rocking Chair and the many designs available. Having spent many an hour as a child in my mothers rocking chair growing up, I have to say that there are not many furniture pieces that can provide the same level of relaxation as a rocking chair does. Rocking chairs are without a doubt the perfect way to distress with its simple, calming and soothing rhythmic rocking motion; it’s really no wonder they have been popular chair since the early 1800’s. For many, they are handed down through the family and become a treasured heirloom. What’s great is there’s one to suit every taste and decor. Rocking chairs first appeared around the early 18th century, although no-one knows exactly when and, unbeknownst to me, they are in fact an American invention. 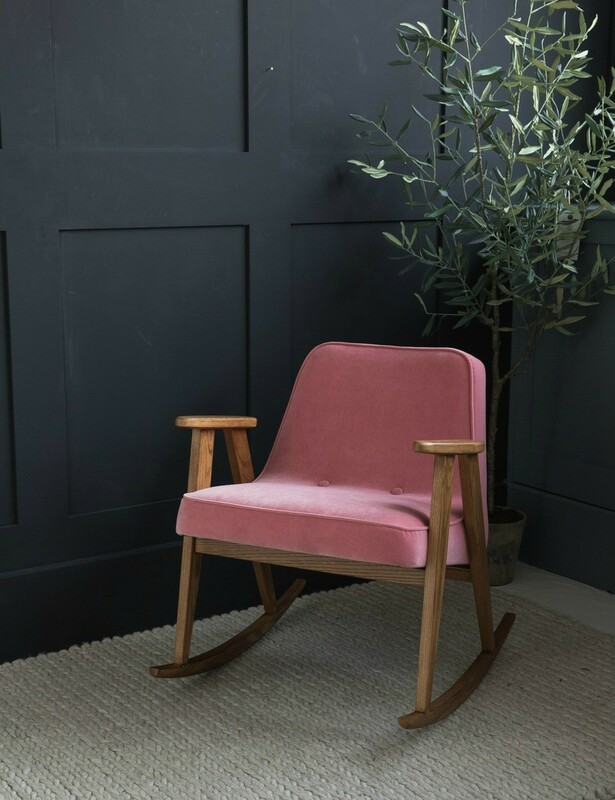 The design of the rocking chair has come a long way since its first beginnings of any old chair placed on top of runners and stuck in a garden. 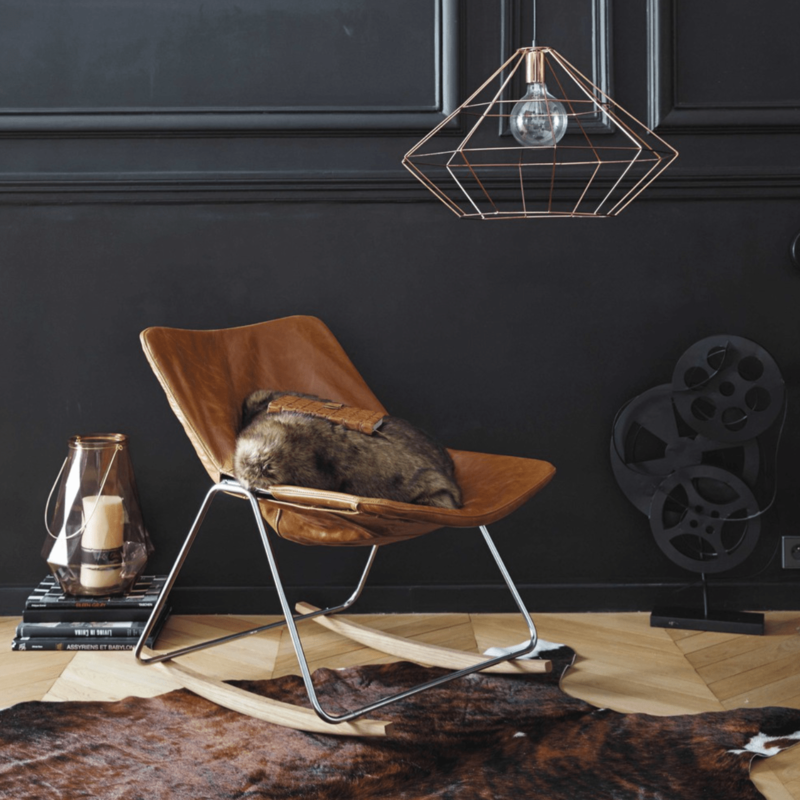 From Eames to Gehry, there have been countless design visionaries that have taken the humble rocking chair and turned it into the ultimate furniture piece that synthesizes relaxation and modernism. With these thoughts in mind, I thought we’d do some virtual shopping…. First up, is the Comback Rocking chair. It’s classic silhouette of the Windsor style rocking chairs, has been given a modern twist. The traditional wooden spindles have been replaced with a colourful geometric pattern of moulded durable thermoplastic that sits on a curved oak frame. It’s an award-winning piece designed by Patricia Urquiola for Kartell. Price: £461 with 6 colour ways to choose from. ROCKING CHAIR FACT: The term “Rocking Chair” didn’t make it into the Oxford English Dictionary until 1787. ROCKING CHAIR FACT: They were associated with hospitals and mental facilities, to begin with, which didn’t make them particularly fashionable. Looking for something a bit different? 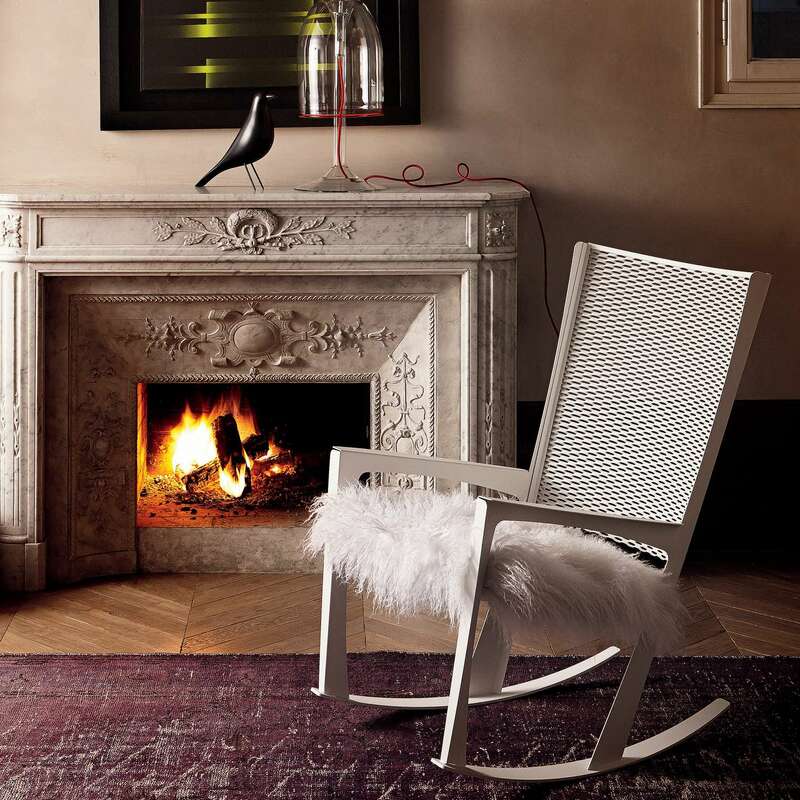 This hide rocking chair would definitely be an interesting piece to add to your homes. Offering pattern and texture with its unusual choice of hide material seating and leather backing, it’s a rugged little number. 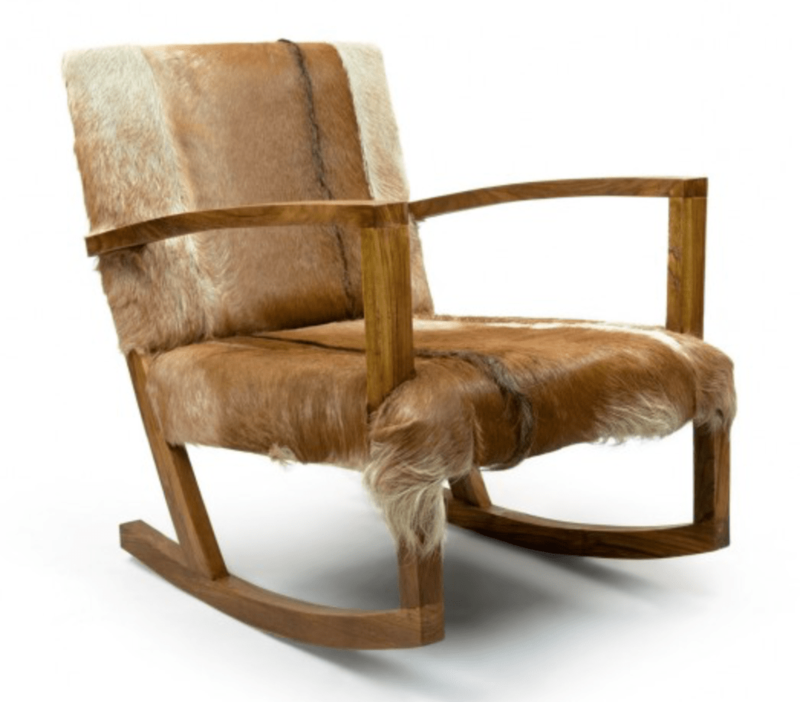 Each chair may vary slightly due to the natural variations in the hide and rustic wood. £327.25 on sale at the price of writing. FACT: Wicker rocking chairs started showing up around 1860. They may be outdoor pieces today, but they were parlour pieces back then. Today, synthetic resin wicker, is widely used due to it being more durable and environmentally friendly. 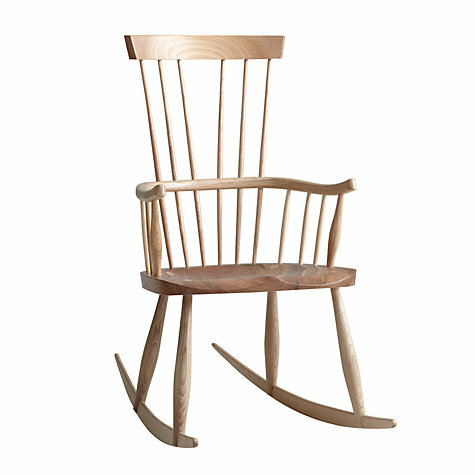 If you prefer the look of a traditional rocking chair, this Melbury chair designed by Dave Green may be the one for you. It’s been created using the same traditional materials and techniques used to create the original Windsor rocking chairs and would definitely be one that would stand the test of time. 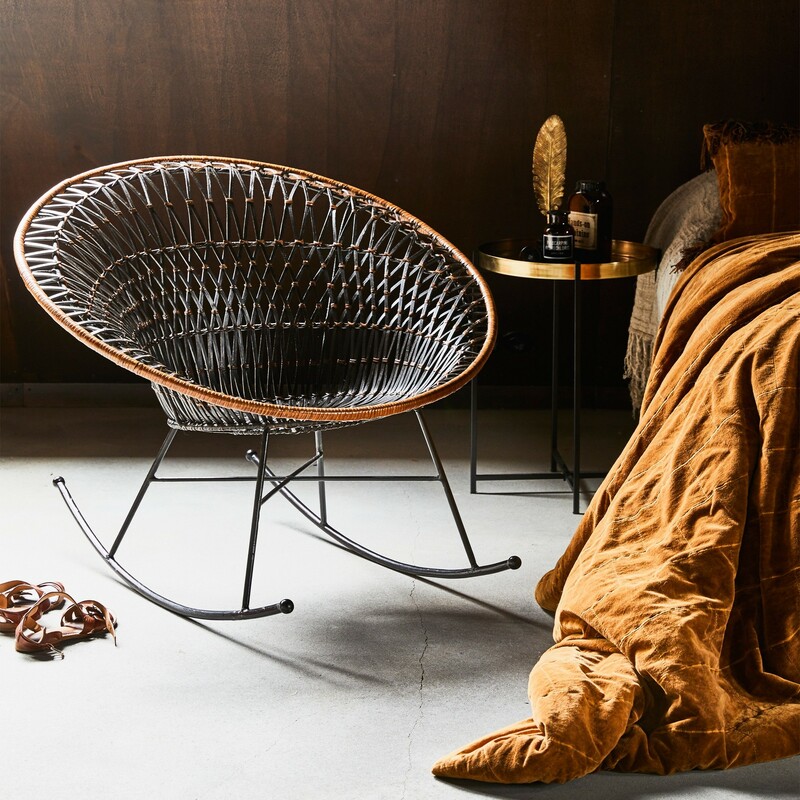 Which rocking chair have you fallen for? Don’t forget to vote for The Interior Editor (Best Newcomer Category) in the Amara Interior Blog Awards. There’s a chance to win £250 of Amara gift vouchers up until the 15th September!!! Wow gotta love the last one with brown leather! Also the EAMES PLASTIC ARMCHAIR looks gorgeuos.